Katharine Ross is your quintessential Hollywood star. The award-winning actress enjoyed a blossoming career, especially in the ’60s and ’70s. She also endured four failed unions before ending up with her one true love, Sam Elliot in 1984. The couple has been together since then and are truly one of the most enduring couples in Hollywood. Find out more about Ross here including her bio and age, net worth, and other facts below. Katharine Juliet Ross was born on the 29th of January 1940 in L.A. California. She is the only child of her parents, Dudley and Katharine. Katharine grew up in San Francisco and had her education at Las Lomas High School Walnut Creek, finishing in 1957. On leaving high school, she proceeded to the Santa Rosa Junior College. While there, she took part in several school productions which made her fall in love with acting. She thus decided to pursue a career in that direction and dropped out just after one year. Ross thereafter joined an acting school in San Francisco known as The Actors Workshop. There, she spent three years during which she honed her acting skills. She also took part in some student films produced by the institution. Katharine Ross launched her Hollywood career in 1962 with an appearance in the NBC legal drama, Sam Benedict. She subsequently scored guest appearances in other TV series including Arrest and Trial, The Alfred Hitchcock Hour, Mr. Novak, etc. Katharine Ross got her debut movie role in 1965 in the civil war movie, Shenandoah. From there, she went on to land supporting gigs in movies such as The Singing Nun and Mister Buddwing. Ross got her well-deserved breakthrough in the 1967 rom-com, The Graduate. The movie follows a young college graduate who has no plans for his life. He is seduced by an older woman but ends up falling for her daughter Elaine (played by Katharine Ross). The movie not only propelled Ross to the limelight but also fetched her a Golden Globe Award for the best female newcomer. She was also nominated for the Oscar for best-supporting actress. Since The Graduate, Katharine Ross has featured in many other movies and TV series. One of the most notable ones is the legendary film, Butch Cassidy and The Sundance Kid. The movie follows two American outlaws (Butch and Sundance) who flee to a South-American country to continue their life of crime. Ross plays the role of Sundance’s girlfriend, Etta Place, who also escapes with them. Her role as Etta brought her a BAFTA award for best actress in 1970. Katharine Ross is one lady who has endured some heartbreaks on the way to finding true love. She has been married on five occasions. Her first marriage was to Joel Fabini in 1960. It lasted for two years and came to an end in 1962. Ross then got married to John Marion in 1964. The union lasted three years and they divorced in 1967. Next up was Conrad Hall whom she married in 1969. They stayed together for four years before separating in 1973. Ross tied the knot for a fourth time with Gaetano Lisi. They got married in 1974 but divorced in 1979. Katharine Ross is now enjoying marital bliss with actor, Sam Elliot. Elliot is renowned for playing western roles, thanks to his mustache and drawl. His popular movies include Tombstone, The Big Lebowski, Mask, and A Star is Born. The couple first met on the set of the 1978 horror film, The Legacy. They subsequently began dating and tied the knot six years later in 1984. The couple has remained strong together since then. They have a daughter together named Cleo Rose Elliot. She was born in September 1984. Cleo is a musician and model who specializes in classical music including Italian opera. She has an album to her credit known as No More Lies which she dropped in January 2009. Ross and her daughter have had a troubled relationship. In March 2011, she accused Cleo of threatening to kill her and attacking her with scissors. She also disclosed that her daughter had been physically and verbally abusive towards her for a long time and equally obtained a restraining order against her. The exact nature of their relationship now is not known but there have not been any more troubling reports. 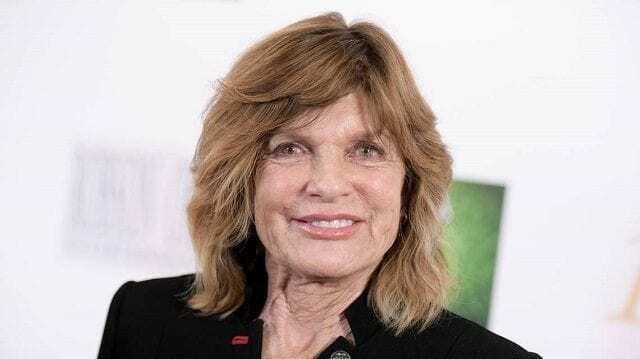 Katharine Ross has a net worth of $5 million. Her source of wealth is most ostensibly her acting career. She has featured in over 28 movies and 31 TV shows till date. One of her most memorable films is the 1975 horror/sci-fi film, The Stepford Wives. The movie focuses on a bunch of women living in the Stepford suburb who are all perfect and submissive wives. Ross’ character, Joana, eventually discovers that the women have been killed off and replaced with robots who have no choice but to be obedient. The film has achieved cult status and the term ‘Stepford wives’ has become synonymous with seemingly-perfect trophy wives.